If you aren’t planning on going to Bill Snyder’s first game back on the sidelines in Manhattan on September 5th, then use anything but the economy as your excuse. The KSU athletic department has just announced that general admission ticket prices for their home opener vs. Massachussets will be $9. The $9 ticket price will also get you a front row seat to the “Kansas State Family Reunion” that will be part of the festivities that weekend in the Little Apple. The athletic department claims they are dropping the ticket prices to reflect the prices of tickets when Snyder first took over the program in 1989. Good deal both ways here. It would have been terribly embarrassing to have only 20,000 fans there for the great coach’s return. Also, instead of buying a ShamWow ($19.95) to help Vince Shlomi pay his legal fees, K-State fans can buy two tickets and bring a date. Major score. I didn’t think I was going to laugh at this, but I did…. FYI – Jon Wefald is the President at Kansas State who evidently knew nothing about the $3.2 million dollar hand shake that took place between Ron Prince and Bob Krause. 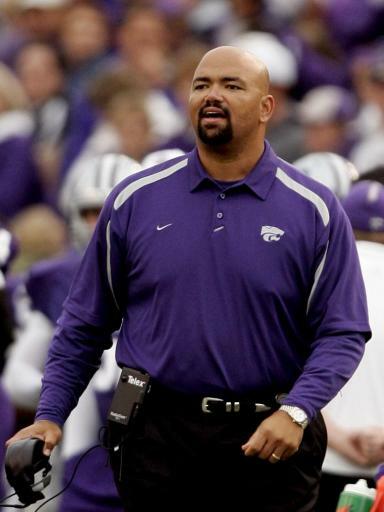 When Kansas State fired Ron Prince last November, it was reported that his buyout was a measly $1.2 million. Not a bad price to send a controversial coach who went 17-20 overall and 9-15 in conference play far, far away. 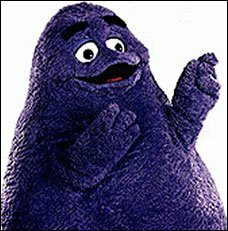 The Kansas City Star is now reporting that the $1.2 million isn’t all that Prince will be receiving from Kansas State. Prince, who is now an assistant back at Virginia, is scheduled to receive an extra $3.2 million in payments from 2015 through 2020 – making the grand total a cool $4.4 million. Kansas State officials have said that this was a “secret agreement” that was signed last August by Ron Prince and Bob Krause – K-State’s former athletic director. Kansas State officials, who claim to have known nothing about this agreement, have filed a lawsuit to nullify the agreement, citing that “the university and its athletic corporation seek to invalidate the pact because it alleges that Prince’s agent/lawyer negotiated directly with Krause and not through the university’s lawyers.” In addition, the university claims that this agreement was a breach of ethics. 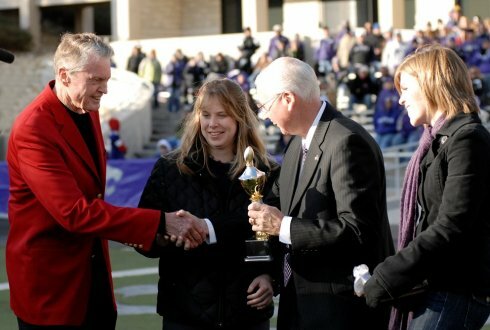 Krause, who resigned Wednesday as director of development for K-State’s Olathe Innovation Campus (at President Jon Wefald’s request), was given the A.D. position in February of 2008 because then-athletic director Tim Weiser (now Big 12 deputy commissioner) ‘refused to give Prince a raise and increased buyout.’ Krause stepped down from the A.D. position last January. I would agree that it should be difficult for an agreement like this to occur without the knowledge of ANYONE other than the lawyers between Prince and Krause. The fact of the matter is that it did and whether or not Wefald and the university can stop this payment will remain to be seen. Regardless, this unfortunate incident did happen on Wefald’s watch as he said, and therefore, he should be taking some of the responsibility here. Simply put, this is a disaster for the university and its athletic department and an incident like this will surely open some eyes across college campuses from here on out – as it should. Look at the bright side, Wildcat fans. Coach Prince was your gift that kept on giving – I mean taking – the whole decade.